The good news is that it sounds like they’ll get the chance to settle their differences in the cage very soon, and when that time comes, Kamaru Usman is promising some serious comeuppance. 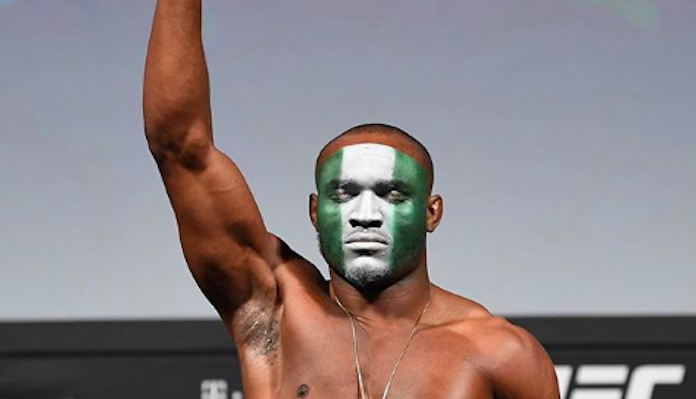 “The Nigerian Nightmare,” sent an intense threat in the direction of Colby Covington on a recent episode of the Joe Rogan Experience. “Part of what this next fight symbolizes to me, is the attitude that a lot of people have towards immigrants,” Usman told the UFC commentator Joe Rogan. “A lot of people forget that Americans are immigrants. People are forgetting that, to where people have this attitude, ‘We’re Americans, go back to your country. Go back. This is a free country.’ I always heard that growing up. I always heard that. The more I research it’s like, ‘What? What are you talking about’ This whole attitude. Needless to say, this is more than just another fight for Kamaru Usman.